In Nordic Sustainability, we began this year by going dumpster diving and subsequently cooking the meal for our company Christmas dinner together. It was as much an exercise in achieving a more climate friendly dinner as it was about pushing generally accepted notions of what internal sustainability accountability is. Especially when you’re a consultancy working with high-level clients, this can be a difficult balance. The dinner lead to reflections on the line between professionalism and activism, which you can read more about on our site. As we continue to try finding ways to reduce our impact and meet a higher standard of sustainability, we will invariably have to make decisions that may result in missed opportunities. Along with most other companies, we too grapple with the conundrum of wanting to pursue opportunities as a business, while feeling obligated to only fly when there’s no other viable option – and sometimes making the decision that we just can’t defend flying for this. … until the other project didn’t materialise. It was now a matter of deciding whether the Climate Reality training was “enough” to justify flying from Copenhagen to Atlanta. Flying directly emits 1.3 tons of CO2* which is a relatively conservative estimate, as I would’ve likely had a layover. Now, would I learn enough during the training to eventually balance out the emissions through a positive impact via my job? Impossible to say, as the link to potential impact in this case is simply too indirect. We would’ve naturally offset the emissions, yet this doesn’t change the fact that they would have been emitted. Another transaction made on a planet in deep overdraft. In addition, we were making this decision with our eyes wide open. As sustainability consultants, we are acutely aware of the planetary impacts our decisions have. We cannot – in any shape or form – claim ignorance. Knowing what we know and doing what we do, we can’t not have these discussions about accountability as a sustainability consultant. This is naturally not to say that these are easy discussions. I probably couldn’t come up with a more difficult one if I tried! If we stopped flying full-stop tomorrow, we would likely miss out on a number of opportunities. A decision that I don’t think many consultancies would be ready to make. In the end, I didn’t go. Climate Reality do trainings all over the world, and so I’ll wait until the next training is in Europe. This was a relatively straightforward decision, but the next one might not be. And then we’ll have to weigh up the pros and cons and make our decisions on enlightened grounds. 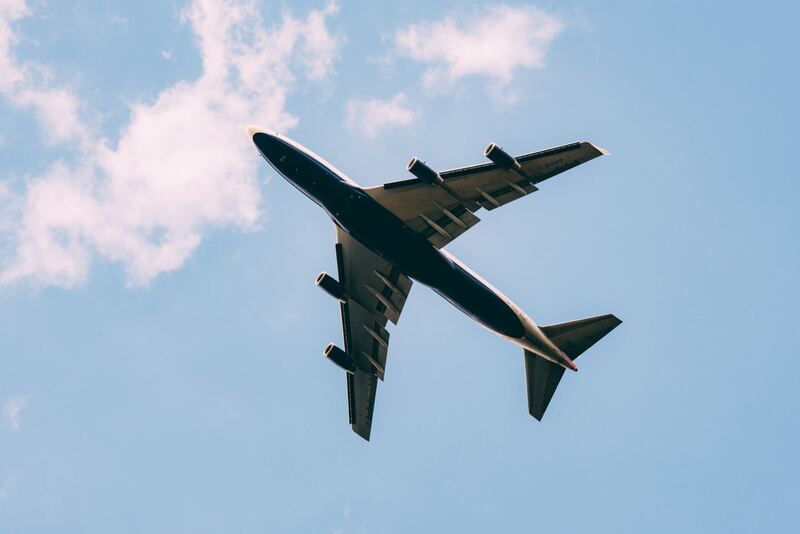 Examples of excessive flying are everywhere: the consultant that flies to a client every week, the frantic growth of the conference industry in recent years, delegation visits, and so on. Some of these may be well and truly justifiable, yet at a time when virtual communication has never been easier, we believe that a wider shift in thinking needs to take place to question when and why we fly. This became a relatively easy decision not to go. But to play the devil’s advocate for a moment: Was it easy because it didn’t involve a client? Would we have made the same decision if it did?